Union Square Chiropractic (San Francisco) - Book Appointment Online! Each patient we have the privilege to serve is entitled to, and will receive, the best care we can provide. Together we will work as a team toward the improvement and maintenance of your health and the achievement of the common goal of providing the quality care you deserve. Dr. Jacalyn Buettner founded her practice in the 450 Sutter Street medical building in 1989. She loved the hip, Art Deco design and history of the building as well as the convenience of the location for patients working in the financial district. 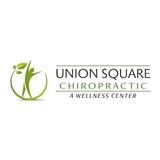 Union Square Chiropractic has grown a great deal since its beginnings, though it has maintained the personalized boutique atmosphere that Dr. Buettner first created. We now offer Massage Therapy and have integrated Rehabilitative Therapy into our practice. Jacalyn is a great chirorpactor and extremely friendly. I have been seeing her for months and she's absolutely lovely. I will continue to go to her because she's great at what she does, and gets the job done quickly!